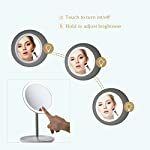 Light Up Your Face: Equipped with 32 x 0.2W LED chips, our makeup mirror helps to light up your face and give more accurate details of your face when you do some makeups, so your makeup will be more delicate and attractive. 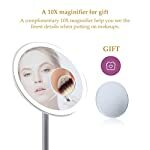 With 10×Magnification: All of our vanity mirrors come with a 10 × magnification, so you can see every single detail on skin and do flawless makeup even around the eyes, then we believe your will look more gorgeous with this little gift’s help. 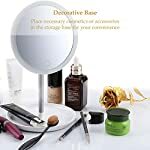 Set Your Cosmetics In Order: Thanks to the integrated organizer base of our makeup mirror, you can just place your lovely lipsticks, eyebrow pencils or other cosmetics in the organizer, and keep everything on your vanity in order. 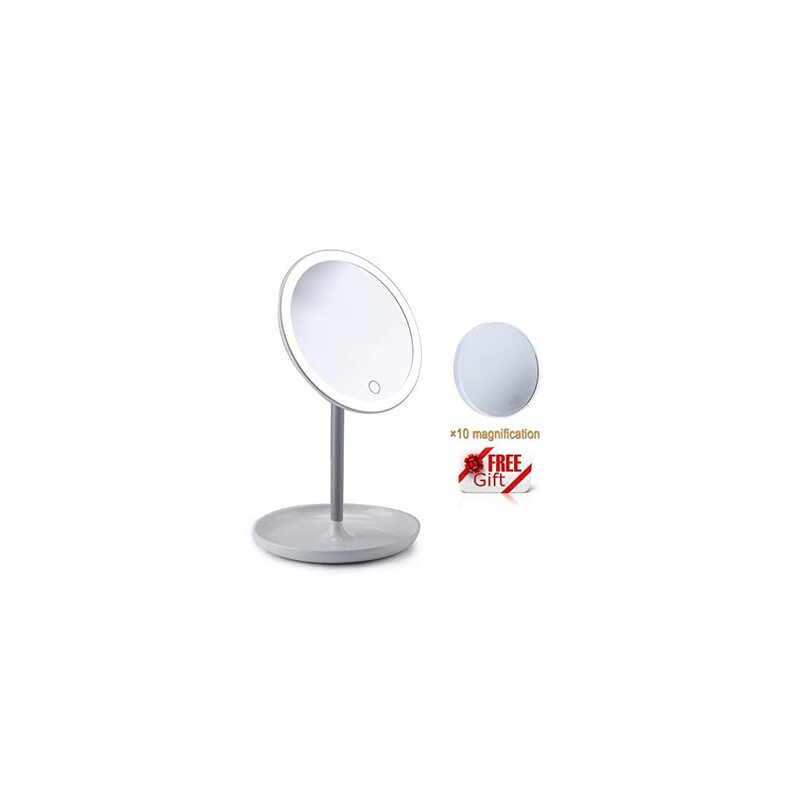 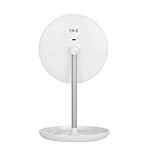 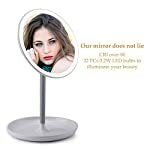 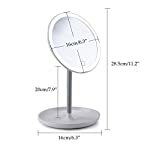 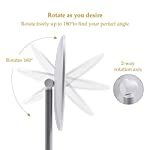 Easy To Get The Mirror Charged: Power can be recharged through the charging port on the back of this cosmetic light, and it only takes 1.5 hours to fully charge this face care mirror light; one full charge serves up to 3 hours under medium brightness. 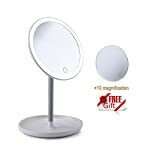 Free Exchange In One Year: We promise 100% free exchange within 365 days if the mirror is defective for your worry-free shopping experiences.